In today's world of financial challenges, many agencies look toward developing partnerships with other organizations, agencies, business entities and volunteer friends groups to help them accomplish their missions while reducing overhead costs. In considering such efforts, it is to the benefit of organizations to use/develop formal partnership agreements, including agreements for volunteer "friends of..." organizations designed to help sponsor and support agency work, such as sending staff to interpretive conferences or purchasing equipment. It is the goal of this course to help agencies new to considering and developing partnerships or friends groups understand how partnership agreements work, their benefits and their contractual needs. As part of this course we will coach you in developing your partnership plan and help you develop your partnership documents such as a "Memorandum of Understandings" or "Cooperative Agreements". * Copies of completed partnering agreement and friend group management forms. * Individuals, agencies or organizations that may currently be involved in the development of partnership agreements and cooperative agreements. * Individuals, agencies or organizations that are planning on developing partnership opportunities in the future for their agency or organizatiion. * Any individual interested in advancing their knowledge and skill level in heritage interpretation in the area of developing partnership agreements or volunteer group management. * Give you expertise in developing and managing partnership agreements. * Give you a skill level in reviewing current partnership agreements. - Understand the partnership agreement development options. - Understand the components of different partnership agreements. - Gain an understanding of developing partnership agreements and benefits relationships. - Learn the importance of developing different kinds of partnership agreements. 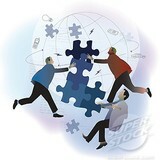 - Understand the 10 steps in developing successful partnerships. 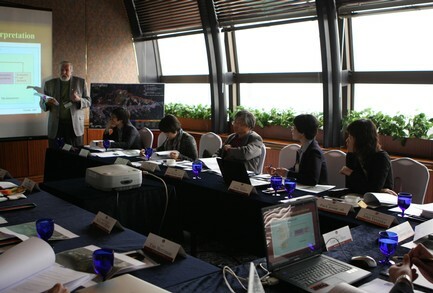 - Feel confident in planning and designing successful interpretive partnerships for the future. Develop an interpretive partnership agreement working draft for your agency or organization. Beacdeagu Forest Mountain Reserve Conservation Center conference. Unit 1 - Why do I need Partners? Unit 2 - Developing your partnership analysis and plan. Unit 3 - What are some of the different partnership arrangements/agreements I can use? Unit 4 - What do I want a partnership agreement (with another agency, organization, group) to accomplish? Unit 5 - Who do I want to have/recruit as a partner and what will the partnership benefits be for each of us? Unit 6 - Which type of partnership agreement is best for us? Unit 7 - What are the goals and objectives of our proposed partnership (what do we envision accomplishing via the partnership)? How will you know if the partnership is "successful"
How will you know if/when the partnership is not longer needed? Unit 8 - Who will we administer the partnership? Who will write the contract or letter of agreement? Who will be responsible for any fiscal accounting? Who will be responsible for staff functions? Unit 9 - Exactly what do we want our proposed partner(s) to do? Help with administration of the project. Provide credibility to the project? Provide "in-kind" services (printing, publications, etc.)? Unit 10 - Working with/Developing a Volunteer Program/Friends Group as a form of partnership. Some guiding principles for volunteer management. Your volunteer management manual and plan. Unit 11 - Ten Guiding Rules for Making Partnerships Work. Estimated time to complete this course is 30 hours but you can take your time if you are working on a partnership planning project using this course as your guide. When will the course start? You can start this course at any time and work at your own pace. It is estimated that it will take about 30 hours to complete this course. The cost of the 30 hours of training is $300.00 USD, which can be paid for by credit card or PayPal at the Pay Now Button below.